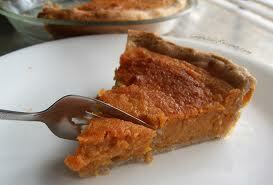 Most people associate Sweet Potato Pie with Thanksgiving and Fall. But, it is a delicious dessert anytime of the year. Being from the South, we enjoyed Sweet Potato Pie year round and with this recipe, so can you. Preheat oven to 350 degrees. Drain and mash sweet potatoes, add remaining ingredients except egg whites. Place mixture in the pie shell. Bake for approximately 45 minutes. You may also add a scant amount of brown sugar and walnuts or pecans. […] Sweet Potato Pie […] this is a ping back. Did you click on that to find my blog site? If so that was me adding your post as a related article. This is part of the Zemanta sofware WordPress uses to connect bloggers. You get more followers as well. Some times they will respond to the pig back and sometimes they won’t. But if you did click that […] Sweet Potato Pie […] over to my sight..you can see how Zemanta works. You clicked to my blog and followed you are also following my FB and I am following your blog. Isn’t Zemanta great? When you have time click the link above this […] Sweet Potato Pie […] and when you are on that post, scroll to the bottom were it will say Related Articles in red lettering. You will see 5 small images of other similar posts to mine. Yours is the 5th image. I know this is a lot. But that is what this […] Sweet Potato Pie […] means.